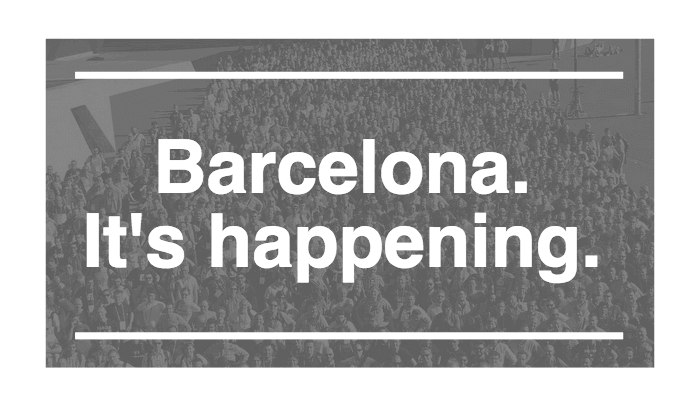 What’s Happening at DrupalCon Barcelona? Over 2,000 open source enthusiasts have descended on the streets of Barcelona for one of the most anticipated cons in Drupal history. Great things are happening here, and in ways you might not have expected... stay tuned. We’ll hash out some selected highlights of DrupalCon Barcelona as our all star team of five—Piyush, Abhishek, Hussain, Aliya, and Mohit—do their thing. A steady stream of on the go tweets with photos of bustling terminals preceded their arrival, and after greeting one another and picking up their badges, photos with a life sized Dries cutout was customary. The opening reception, community kickoff and the first time attendee social yielded awesome group photos and candid shots. 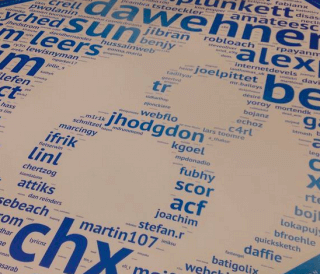 The clever typography art dedicated to Drupal 8 contributors (like Hussain Abbas) was an awesome idea. Stickers and other cool collateral pieces like t-shirts made their way around—everyone looks forward to bringing this stuff home. All the while, the festival of La Mercè is in full swing; its energizing visuals are adding to the excitement. Yes, Barcelona 2015 is going to be a con to remember. The first day was full of hugs, handshakes, and tipped glasses. 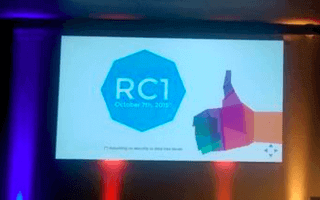 Drupal 8.0.0-rc1: October 7th, 2015. Before we get down to earth and serious, an energy you could say characterized day 2, let’s touch on some whimsical details. Friendly competition kicked off with the new game Drupalbird, ecstatic drupalers in costume made the Prenote fun as always. (Do you ever think about how this all looks to the outside world?) But by the time the Driesnote started, it was clear that honest and productive conversations about how dreamers, movers and doers of the industry need to change the way they do things would set the tone for the event. Realistic discussions about our future have been underway ever since. This optimistic and constructive dialogue will move the industry forward. It’s what we needed to be talking about and this should empower us. And what’s more empowering than this big news: Drupal 8 will be out on October 7th. Dries said that once this is released, we're going to see "a huge spike" in its use. Throughout the talk, he emphasized the importance of achieving contributions with a work-life balance. We couldn’t help but think of our culture at Axelerant. Our Technical Architect Hussain held his dynamic session "What PHP-FIG Means to Drupal," and had a great time delivering it. PHP was the first of three special tracks deliberately asked for by the Drupal community. 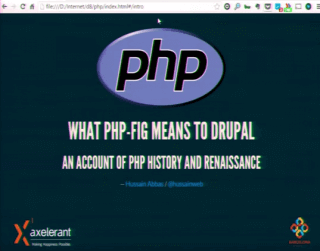 By its end, the audience had a deeper understanding of PHP-FIG, PSR's, and Drupal 8. Scholarship and Grant recipient Aliya Khan continued to volunteer as a room mentor during sessions, and took part in key conversations on DrupalCon Asia and about women in Drupal. Mohit, one of our developers, along with others attended the Yoast SEO launch party, and they stuck around for some discussion on the module’s workflow, demo, and the freemium plugin eco-system in the Drupal world. 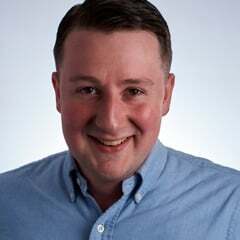 Conversations of the day were centered on handling burnout and workload, and that drupalers can "accept that work has increased and find solutions, rather than avoid it." In the morning, our team was at work rehearsing. They had an announcement to make: Drupalcon Asia 2016. Before inviting all attendees to the next DrupalCon, several of our team members attended Birds of a Feather sessions. Discussions about Gitflow and effective approaches to project management were hot topics. 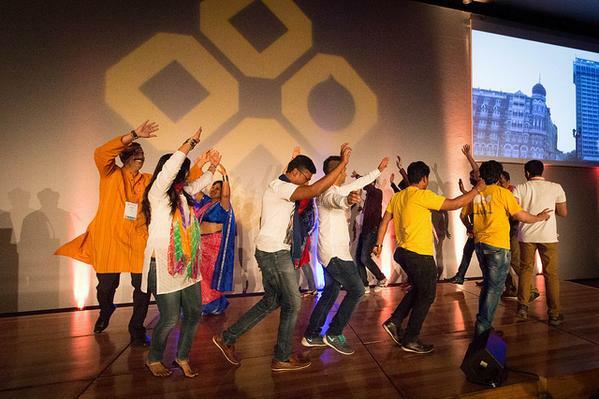 The Indian Drupal community performed a lively dance for the closing ceremony, an invitation for all to come to Mumbai in February. That evening our team attended trivia night and loved it (they scored 40 points). Tell us about DrupalCon Barcelona below.